Does the neuronal membrane potential return to resting potential immediately after the action potential? If no Why? Explain the mechanism which helps to bring back the resting potential? 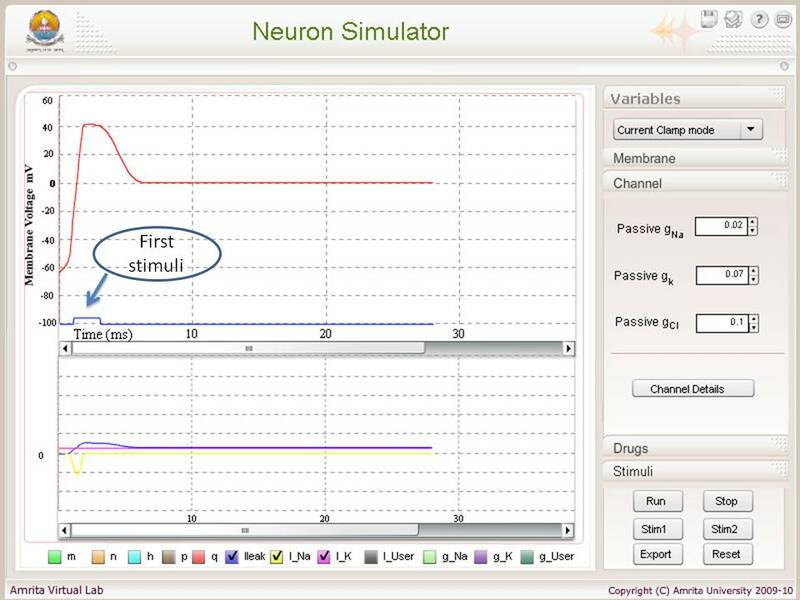 Measure the membrane potential immediately after the action potential ? Calculate the conductance of fast Na channel by turning off the K+ channels using parallel conductance equations? 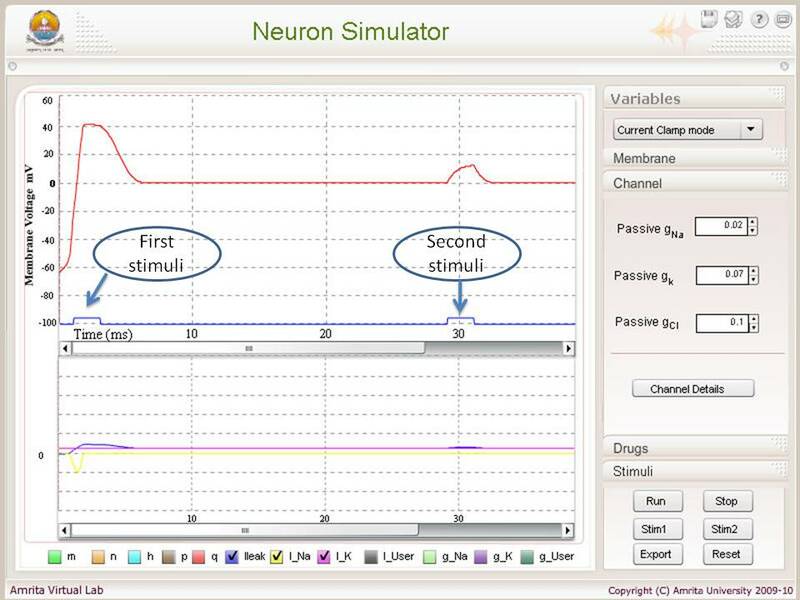 Switch off the voltage gated K+ channel conductance and measure the new resting potential after the Stim1 is applied ? Give the stimuli again and what is your observation? Why? Density of sodium channels determines the rate and amplitude of action potential prove this hypothesis? Slow down the rate of inactivation by changing the value of the parameter Magnitude (m) from 0.07 to 0.1 of alpha, run the simulation report your observation? Why? a. Neuronal membrane fire continuously. b. Spike width and amplitude increases. c. h plot decreases slowly during spike. d. m plot stay for a long time, since cell took tome to repolarize. 1. 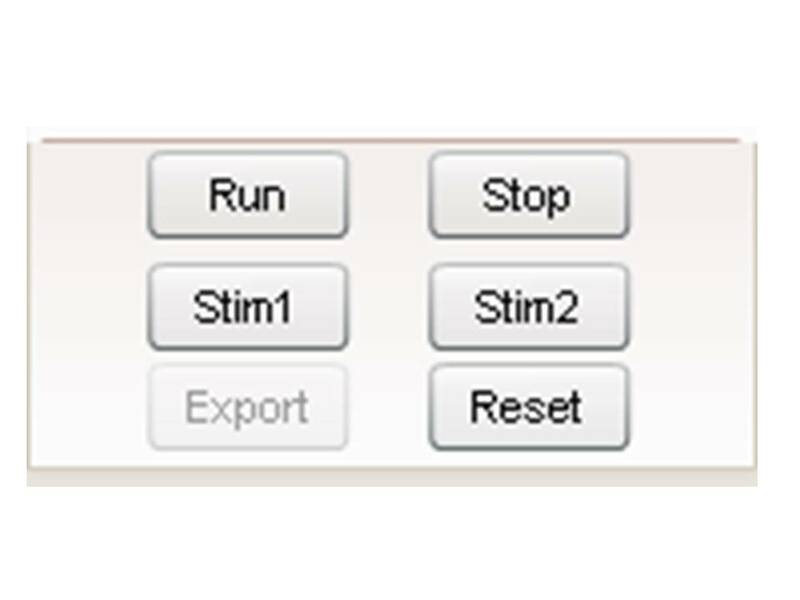 Simulator was loaded by clicking the tab buttom "Simulator"
3.Apply Stim1 (by pressing Stim1 button in Simulation control window). 4. The respose after first stimuli is showed below. 5.The respose after second stimuli is showed below.